Thank you for your interest in our parish. We’re happy to have you here! 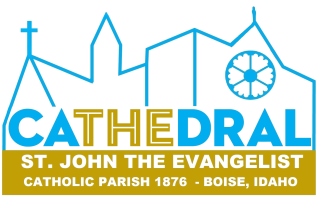 Please complete this form to become a member of the Cathedral of St. John the Evangelist community. For any questions or comments, please email boisecathedral[email protected] or call us at 208-342-3511. I am interested in learning about volunteer opportunities. I wish to be enrolled in the weekly envelope system. I would like assistance to enroll in secure online giving.